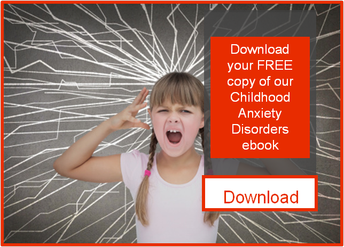 Earlier this month we posted a blog about anxiety disorders in childhood. Today’s blog is about one particular anxiety disorder, panic disorder. While panic attacks can occur in children, they are rare. The prevalence of panic attacks increases significantly at the age of puberty. Panic disorder is an anxiety disorder where individuals experience unexpected recurrent panic attacks. As you will notice with the list above, many of these symptoms are physical (chills or heat sensations, sweating, pain or discomfort) while others are cognitive (fear of losing control, depersonalization, fear of dying). In addition to the experience of having a panic attack, panic disorder affects individuals in ways that can impact daily life and functioning. To illustrate, individuals with panic disorder experience “consistent concern or worry about additional panic attacks or their consequences” (DSM-V, p208). In addition, people with panic disorder will often avoid certain places or activities that they fear might lead to another panic attack. Dr. Carbonell goes on to highlight the importance of understanding panic attacks. Individuals experiencing panic attacks can be flooded with irrational thoughts. For this reason, it is helpful to remember that having a panic attack does not mean any real risk exists. In addition, as stated above, panic attacks peak within just minutes. Although panic attacks are rare in children, young ones can still struggle with feelings of fear and other symptoms of anxiety. If you suspect your child may be struggling with panic disorder or another anxiety disorder, don’t hesitate to contact a mental health professional. He or she can help discern if an anxiety disorder exists and help you plan the best course of treatment.